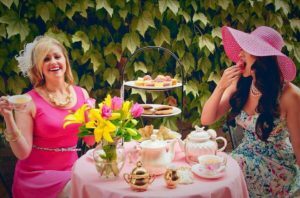 The Ivy Tearoom – Afternoon tea with a modern-day twist! The Ivy Tearoom offers an affordable afternoon tea with a modern-day twist. We provide a whimsical and fun atmosphere with no time limit (until 4pm close). 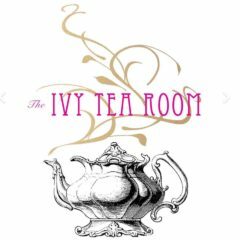 The Ivy Tearoom opened May 2015 and continues to offer new and fun ways to enjoy the London tradition. *Due to the age and structure of the building, we cannot accommodate wheelchairs at this time. We send our sincere apologies for this. Amanda Thais (owner) is so grateful everyday to share her passion of food and tea with each and every guest.